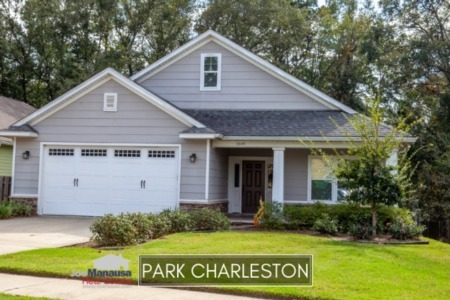 Park Charleston is a NE Tallahassee neighborhood featuring both detached and attached single family homes situated near many of Tallahassee's medical service providers. Located on the southern edge of Miccosukee Road just outside of Capital Circle NE, it's a short ride to either hospital and to dining and shopping too. Buyers seem to love this location and the "like new" condition of these homes, as the neighborhood itself is just ten years old. As with other boom neighborhoods, we need to monitor the supply of homes on the market and the equity build-up that should be starting to occur. If too many people want to move before significant equity has amassed in the post-bubble housing market, it could create an over-supply of homes that could further slow appreciation and the recovery. Due to the relatively small size of the Park Charleston subdivision however, I'm not too concerned that this will occur in a major way. In this report, we will look at average home prices, values, and sizes in Park Charleston, as well as show current listings in the Tallahassee MLS and all closed home sales going back to the beginning of sales in this popular NE Tallahassee neighborhood. It is important to note that the narrative contained below is for sales through the end of December for all previous years, but through the fourth week of June in 2016. The graphs and the closed sales table will be continuously updated into the future (meaning bookmark this page if you always want to know the current status of homes in Park Charleston). Park Charleston home prices have dropped about 3% thus far in 2016 when compared to the average in 2015. Through the writing of this report, the four homes sold in Park Charleston have averaged $242,000. Home sales activity has been sluggish thus far in 2016, and it appears as if there is a difference of opinion between sellers and buyer on the value of Park Charleston homes. 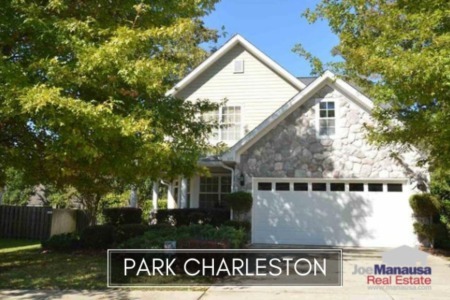 Currently, there are five homes for sale in Park Charleston, and none are under contract. Considering that we are seeing contracts on 30% to 40% of homes listed for sale in other Tallahassee neighborhoods, I suspect we'll be seeing more price reductions here. In our past few home sales reports for Park Charleston, we noted that sales were slowing down. Since that time, sellers have pulled back on their asking prices, but only to the extent of where they were last year. Home values really haven't moved much since 2013, fluctuating a mere $1 per square foot thus far. This means that unlike many other neighborhoods that are starting to report sharp appreciation, it really hasn't kicked in yet here. At $134 per square foot, home values in Park Charleston are much higher already than many other NE Tallahassee neighborhoods, so it might take a few more years to see these ready to move much higher. The average home size sold in Park Charleston typically falls in a range of 1,850 to 2,000 square feet, but in 2016 we have seen buyers opt for the smallest of homes. The 4 homes sold in 2016 have averaged 1,793 square feet. The following list of homes are the most recent listings in Park Charleston. The following list shows nearly 200 home sales in Park Charleston going back to 2006, the very first year homes sold here. I hope you enjoyed our June 2016 update on home sales in Park Charleston, please feel free to drop me a note if you have questions not covered in this report.